Truly our most complete package to date! Below you will see examples of the room “white” and with “color”! Whichever is your style we can make it happen! This package includes mouth watering h'dourves and a open bar! Plus officiant, photography and venue all for one low fee! 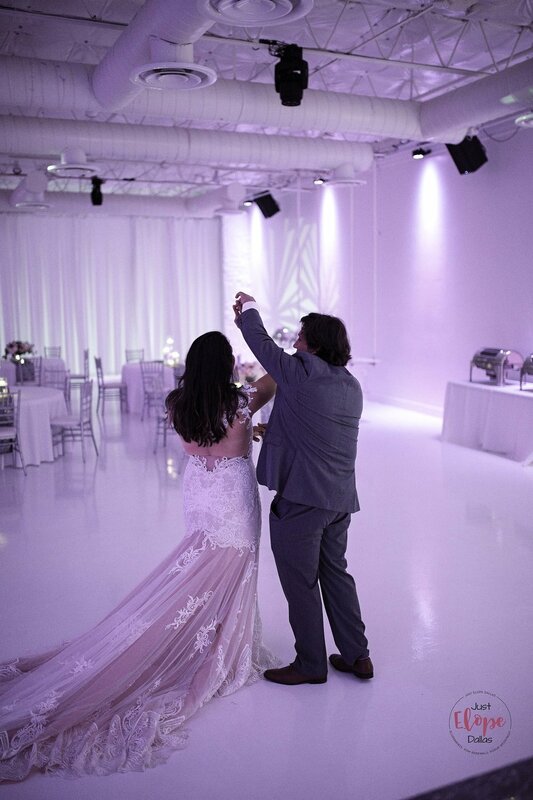 You can choose from dramatic natural lighting for your daytime event or “paint” the room in the color of your choice with our state of the art lighting system that is included in the base rental price. Dreamy purple, dramatic pink, serene blue, the choice is yours! Nuvo Room is an unique, modern, Dallas event venue for weddings and special events located in the North Dallas/Addison area. Their convenient location is ideal for guests coming from all areas. They also offer plenty of free parking. 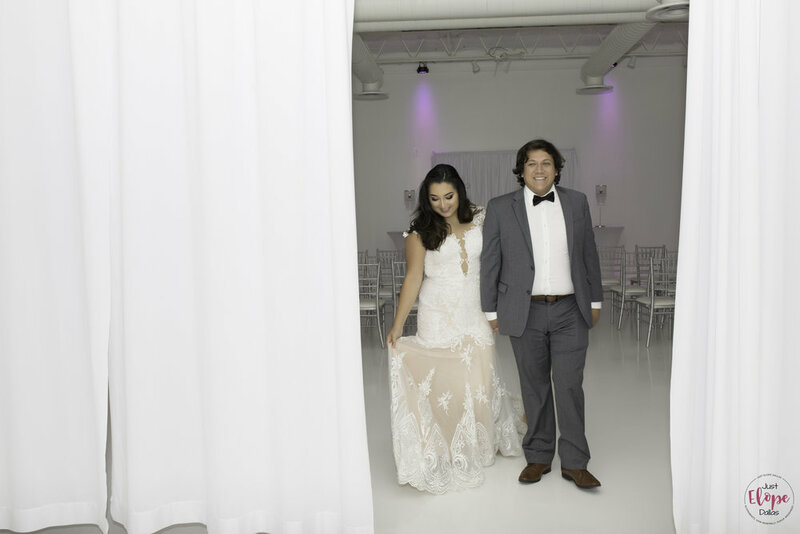 With its urban, loft aesthetic, Nuvo Room is a stunning , all white room which can be transformed from a contemporary lounge to a lavish reception space and everything in between. 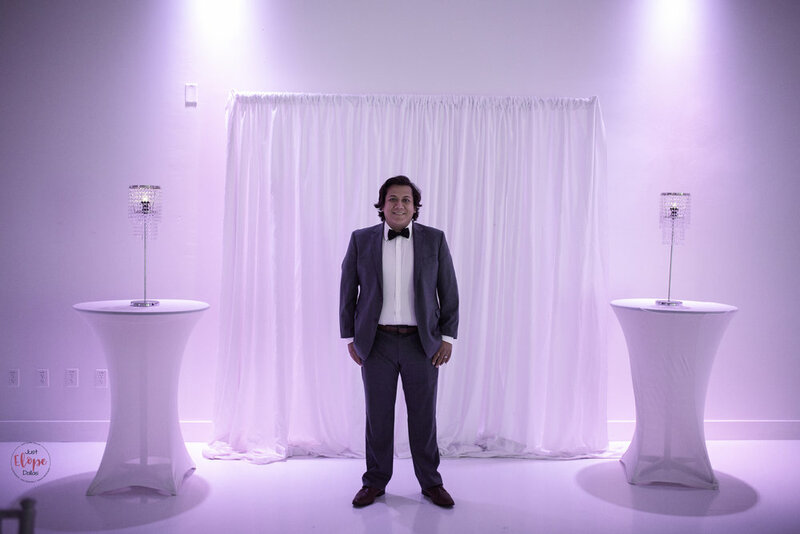 Features include white 14′ acoustical ceilings and 5000 square feet of event space , making your setup options limitless. The white backdrop allows you to choose the color scheme of your choice, making this space completely customizable to your event.